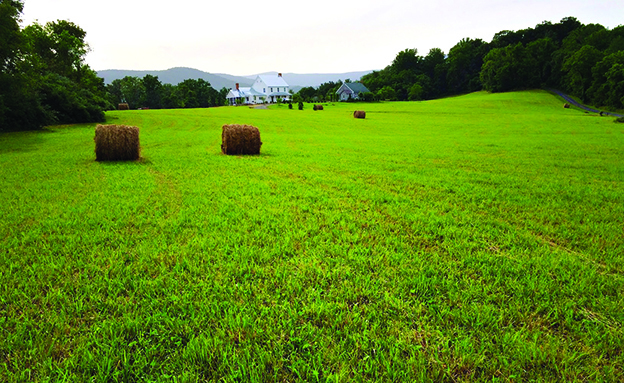 People dream of living in the country, a place of peace, quiet, and clean air. Virginia’s Piedmont has been playing host to these dreamers for decades. In a time of mass urban migration, there is a stalwart minority swimming against the tide. In 1790, only one in twenty Americans lived in a city, one out of two by 1920, two out of three in the 1960s, and four in five in the 2000s. “In our mobile world,” Keyser continues, “people are working harder to make family happen. Out in the country, free from distraction, Piedmont houses are a great context for the good times. Even teenagers look up from their phones when there is no cell service, and lots of places out here are signal-free. For me, building is always about how a space feels—it’s less about square footage, more about accommodating the things they want to do. I suspect there’s a small group who build to justify owning a tractor. “As a place, the Piedmont is different: people are more considerate in their approach. Everyone who builds here wants to protect the place. 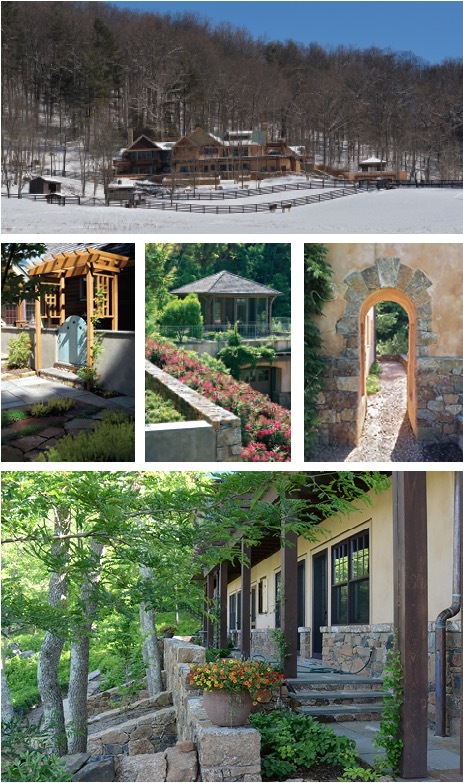 People come to Piedmont for the views and open spaces; everyone wants to bar the door on arrival,” Keyser says. “It’s a place people dream of, a stronghold of open space. As a builder, I feel like a steward of the resource—it’s finite, and we’ve seen it change quite a bit. Most of the development in Rappahannock has so far been pretty thoughtful, but it’s not to hard to find places where it’s out of control. After the land is secured, the next step is to find the right architect. “The best projects happen when the architect and builder have a good working relationship. I’ve had the great pleasure of working with Jay Monroe, of Monroe & Crocker, PC, in Flint Hill. 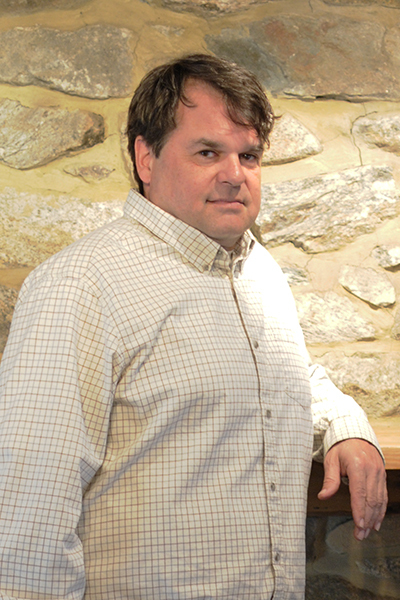 He’s an incredible guy with a knack for combining his architectural vision and the client’s needs and ideas. He’s also a great landscape architect, and when you are building in the Piedmont, melding the home design with the terrain is vital to the success of a project. “My projects typically take between 10 and 15 months to complete.” Bringing a builder in early in the design process can spare a great deal of frustration later on. “Getting the scale right is a real key to success. Rightsizing the house, siting it correctly to the view, and then integrating it with the landscape are all central themes in a successful project. It’s best to work with an architect who will meet you on site; the architect and builder need to walk the ground with the client, more than once, and preferably together, to get it right. Set in the middle of a perpetual font of inspiration, the artist studio was built before the house. Arbors frame the views and blur the lines between interior and exterior spaces, creating a much larger feel to the studio. Ruthie’s land was really open; it allowed Jay to site the buildings exactly where he wanted them—that’s rarely the case. Most projects require some specific, focused work to integrate the buildings with the desired sightlines and views. Little Windbury’s interior spaces were scaled to fit the artist’s life and create a cozy feel. 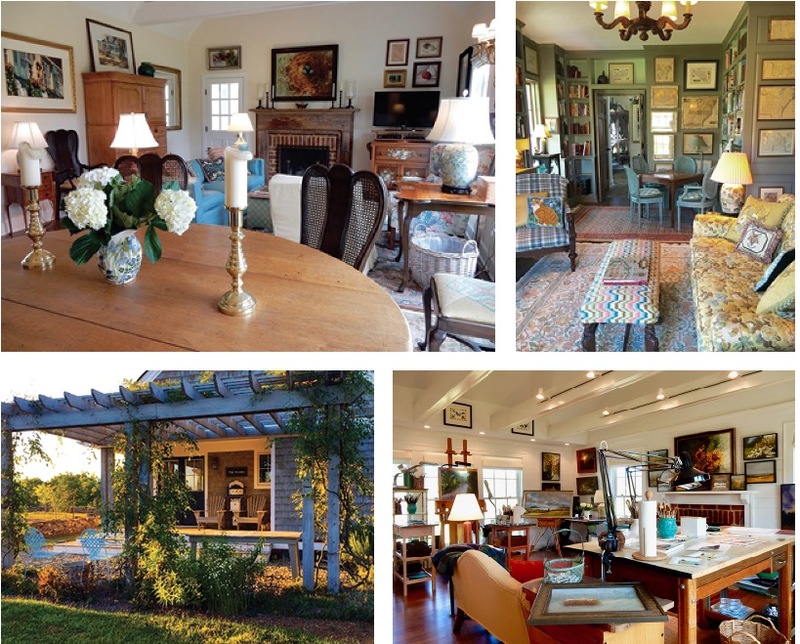 Clockwise: One of the artist’s bird nest paintings figures beautifully over fireplace; the library plays perfect host to the artist’s extensive print collection; the separate art studio with arbor; interior of the studio.